The EcoSmart VRF Controller allows for dedicated, distributed management and control of Samsung VRF interface as well as coordinated management and control of Daikin, LG, Mitsubishi, Panasonic, Sanyo and Toshiba through an Intesis device interface which allows for automated energy savings. The EcoSmartVRF Controller is mounted next to theVRF indoor unit for physical control of the HVAC system. 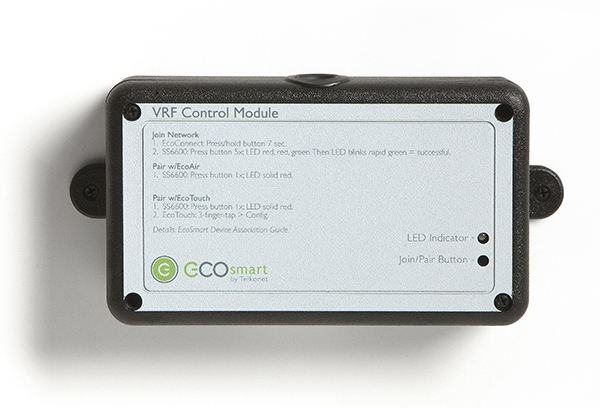 The EcoSmart VRF Controller communicates with the EcoAir, EcoTouch+ or other compatible Zigbee remote interfaces. 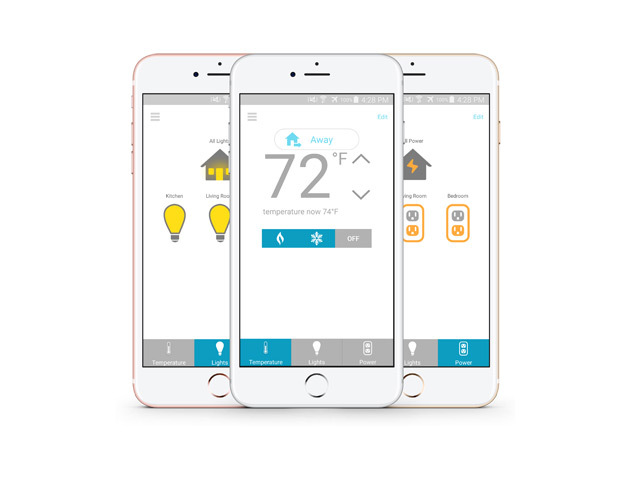 With the intelligence built-in, the EcoSmart VRF Controller can communicate as part of a larger EcoSmart network based on the ZigBee wireless module, or fit seamlessly into existing control networks already based on ZigBee standards. Additionally,the EcoSmartVRF Controller can inter-operate by utilizing a building’s direct digital control (DDC) or building automation systems (BAS) and communicating with industry standards such as BACnet. We are PMS integration leaders.The EcoSmartVRF Controller can be integrated into practically any PMS system.As soon as a guest checks in (“Sold”),the EcoSmart system will prompt the HVAC unit to begin heating or cooling the room to achieve the indoor environment selected by the property when they enter. When a guest checks out (“Unsold”), the EcoSmart system prompts the HVAC unit to enter a deep setback mode with an extended recovery time, offering considerable energy savings. The EcoSmart system is designed to provide building operators with efficiency in the performance of their HVAC systems at a fraction of the normal installation cost. 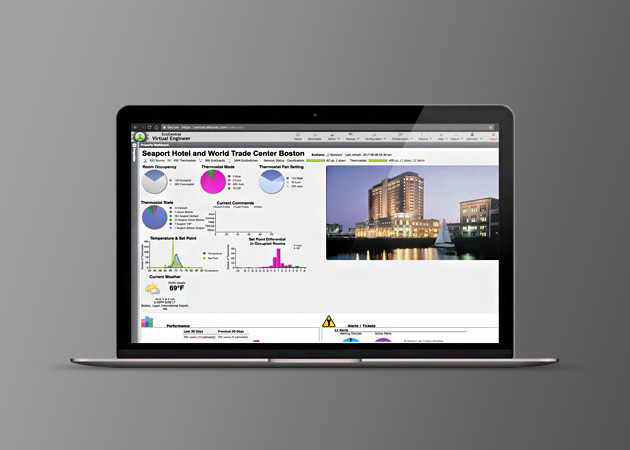 It achieves efficiency by allowing granular control over available setpoint ranges, mode selections, setback temperature limits, and data from interconnected systems such as a hotel’s property management system or time-of-day utility pricing data.